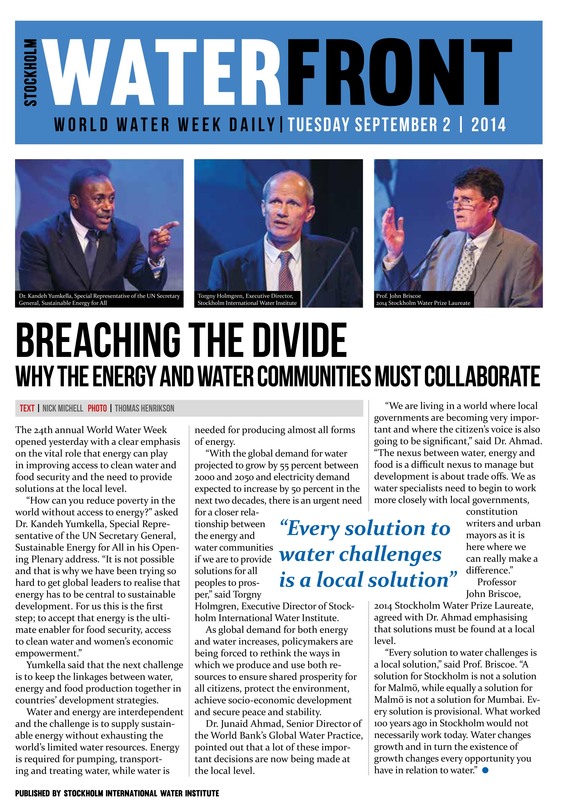 For the past four years, a PFD editorial and production team has worked for the Stockholm International Water Institute on the daily conference newspaper for Stockholm Water Week. The Stockholm International Water Institute (SIWI) is a policy institute that seeks sustainable solutions to the world’s escalating water crisis. In 2014, the team was also retained to write and produce the Overarching Conclusions based on the Rapporteur’s submissions from the week-long conference. It was a pleasure having you and your team working on the daily. We are very happy with the result and also how well it worked on site.